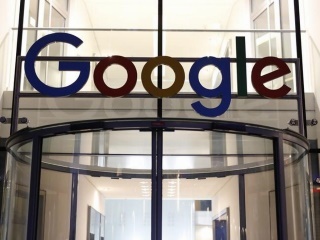 San Francisco– In a bid to help news organisations thrive in the digital age, Google has committed $300 million over the next three years as part of the Google News Initiative (GNI). The GNI will help media outlets evolve new business models while adopting innovative technologies. According to Google, business models for journalism continue to change drastically and the rapid evolution of technology is challenging all institutions, including the news industry, to keep pace. “Over the next three years, we’re committing $300 million toward meeting these goals. We’re also deepening our commitment to building products that address the news industry’s most urgent needs,” Philipp Schindler, Chief Business Officer at Google, said in a blog post late on Tuesday. The GNI is focused on three objectives: Elevate and strengthen quality journalism, evolve business models to drive sustainable growth and empower news organisations through technological innovation. Google has earlier worked closely with the news industry to address key challenges. “We worked with the industry to launch the open-source ‘Accelerated Mobile Pages Project’ to improve the mobile web and ‘YouTube Player’ for Publishers to simplify video distribution and reduce costs,” Schindler said. “We also introduced ‘Flexible Sampling’ to help with discovery of news content on Google; ‘Google News Lab’ to provide newsrooms with trainings and editorial partnerships, and the ‘Digital News Initiative’ to drive innovation in the European news industry,” he added. Over the past few years, Google has worked with publishers to elevate accurate, quality content and stem the flow of misinformation and disinformation. “We’re launching the ‘Disinfo Lab’ alongside the ‘First Draft’ to combat mis- and disinformation during elections and breaking news moments,” Google said. Google is also teaming up with the Poynter Institute, Stanford University, and the Local Media Association to launch “MediaWise”, a project designed to improve digital information literacy for young consumers. Google is currently working with news organisations around the world to develop and deploy technology that improves newsroom efficiency, creates enriching storytelling experiences, and protects journalists from cyber attacks around the world. “For example, we are using our natural language processing API to help ‘Hearst Newspapers’ sort, label and categorise more than 3,000 articles every day,” Google said. Google has also worked with the South China Morning Post to use “Google Earth Studio” to create immersive VR experiences that show the evolution of Hong Kong throughout history. “Finally, we’re also launching ‘Outline’, an open-source tool from Jigsaw that lets news organisations provide journalists more secure access to the internet,” Google announced. “Outline” makes it easy for news organisations to set up their own VPN on a private server.